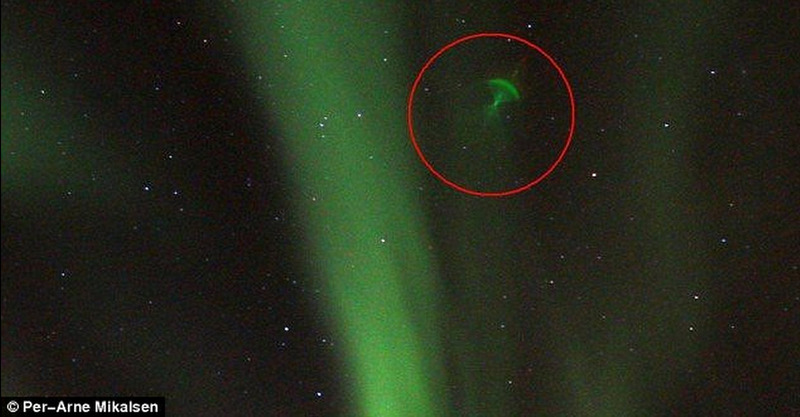 Was mysterious jellyfish in sky caused by space satellite reflecting Northern Lights? 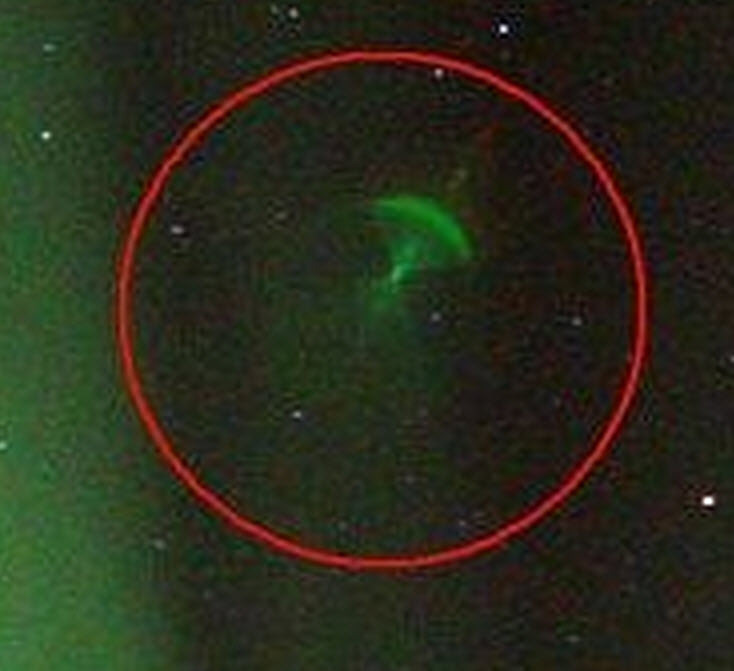 Mr Mikalsen said he was keen to find out what caused the phenomenon in the top right of his picture. Click for higher resolution version. 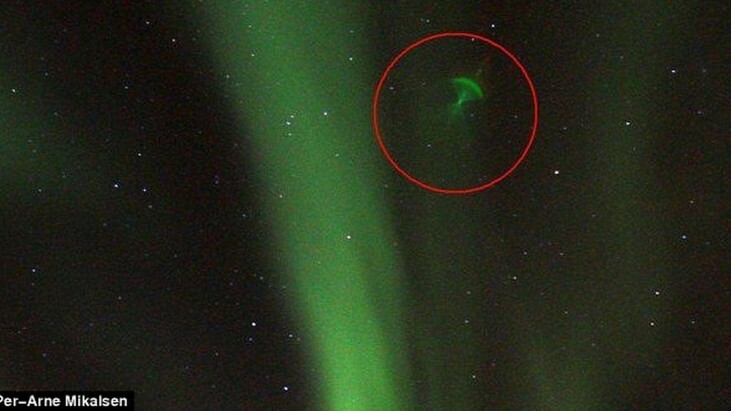 A strange jellyfish-shaped object spotted hanging in the sky over Norway, may have been caused by light from the aurora being bounced off a space satellite, experts say. If proven it will be the first known case of a satellite reflecting the Northern Lights. The mysterious phenomenon was photographed last week by amateur photographer Per-Arne Milkalsen over Andenesm, Norway. The photographer became fascinated with aurorae after working at a rocket launch site in the far north of Norway for 25 years. The northern lights are often visible here because it is so close to the North Pole. Aurorae are caused by the interaction of the solar wind with Earth’s magnetic field and so are particularly prevalent at the poles where the magnetic forces are strongest. The photographer first assumed the odd optical effect was a spot on his camera lens. 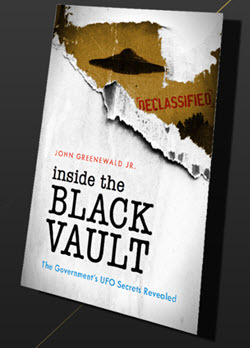 But after he posted his photographs on Spaceweather.com he was inundated with emails from interested experts from around the world. Lead scientist Truls Lynn Hansen from Tromsø Geophysical Observatory said he doubted the picture, taken on January 20, was due to a simple camera fault. 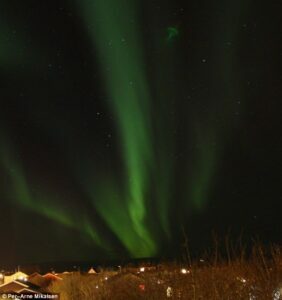 However, Mr Hansen said it was unlikely the Northern Lights could create the optical effect on its own. 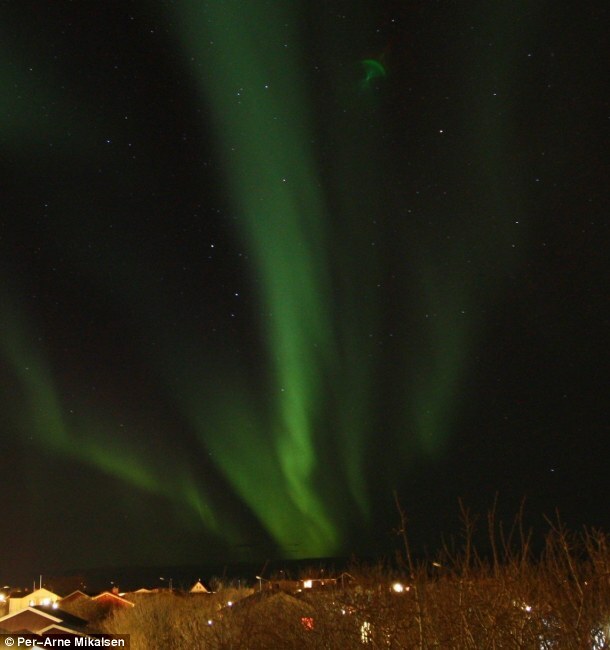 Instead the aurora might be bouncing off an external source like a satellite or an airplane. In this way it would act like an ‘iridium flare.’ The flares are created by sunlight reflecting off iridium satellites. They appear as bright white flashes in the sky. One problem with Mr Hansen’s theory is that the light intensity from the Northern Lights is 100,000 times weaker than the sunlight. But Mr Hansen said this did not exclude the satellite reflection hypothesis. ‘The intensity of an intense aurora is not far from the intensity of moonlight,’ he said. 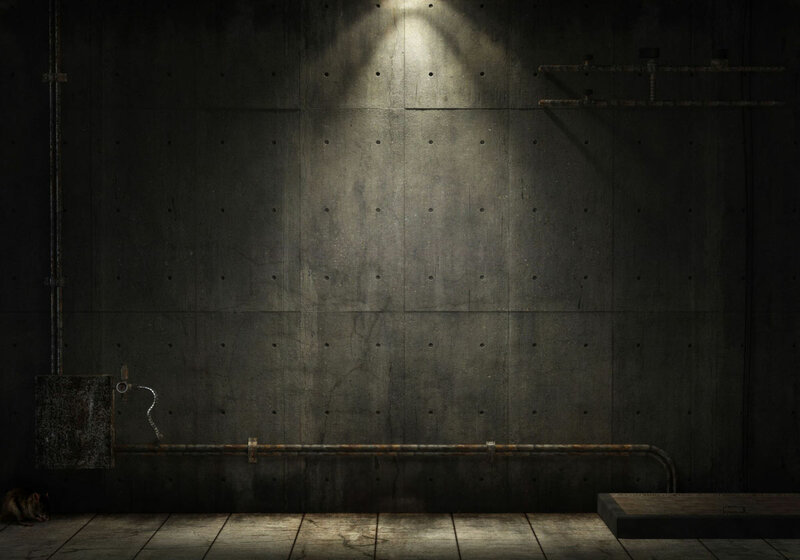 Pal Brekke, senior adviser, at the Norwegian Space Centre, told the Mail Online: ‘A reflection from streetlight would be the most straightforward explanation. ‘But why is it green? One should think it would be white or yellow if it was a reflection from the streetlight.